They say summer bodies are made in the winter, well it’s summer, and unfortunately you got the memo a little late in the season. Nonetheless you’re determined to live a healthier lifestyle and hopefully lose a few pounds while you’re at it. You started the dreaded exercise routine; however abs are made in the kitchen which means next step is to take a long look at what you’ve been eating. You’ve heard about paleo, ketogenic, and low-fat but they all seem to give opposing advice. How can you possibly choose which one that is right for you? Diets are awful, it’s no wonder most New Year’s diet resolutions end up in disastrous failures. Yet you’re still hopeful if Ketogenic worked for Kim then why not you? The dieting landscape is one of the most confusing to navigate, filled with impossible promises, pseudoscience and simply unsustainable requirements. Yet, if the diet fails, you blame yourself for not following it closely enough. In today’s blog, we’ll discuss that diet failure has more to do with a genetic-diet mismatch and less to do with any perceived lack of willpower. You’ve likely heard the term macronutrients but what exactly are they? In layman’s terms macronutrients are simply the foods required in large amounts for living. They are broken into three primary categories, carbohydrates, fats and proteins that make up our daily caloric intake. The plethora of diet plans work to either alter the ratios between the food types or to emphasize specific, often culturally-based, food types within. For example, the ketogenic diet alters the ratio to emphasize high fat and low carbohydrates, while a Mediterranean diet stresses the importance of olive oil in the fat category type. Our standard American diet is one that is primarily composed of carbohydrates and fats. The most common calorie sources come from foods categorized as desserts, snacks, or beverages which contribute to 13.6% of total calories. (1). Many popular diets emphasize the lack of high sugars in other cultural foods such as Japanese, Mediterranean, or Scandinavian, basing it primarily off of the healthy populations at these locales. While it is true, that in comparison to the American diet, these consumption patterns can be healthier for population groups at large it does not factor in the individual’s response to these diets as dictated by their genes. This is demonstrated by the fact that groups who still share a common cultural food source have approximately 25-70% of their body weight variation directly influenced by their genetics (2). If you’ve ever thought that a diet sounded especially hard to follow, you’re not alone. One of the most common reasons for diet failure is unsustainability. In order to keep a diet going you, of course, have to like the foods, but more importantly it also needs to agree with your genetic makeup. In a recent well-controlled study on mice, researchers examined applying different popular food types to a genetically diverse population matching that of humans. They found that even traditionally healthier dieting types did not universally provide the same health benefits across all genetic types. This included marked differences in blood sugar levels, body fat composition, cholesterol levels and liver health in the same diet type. Researchers found this to be primarily dependent on genetic response (3). We’ve discussed before how genes such as FTO and TCF7L contribute to these differences by hardwiring our body to respond very differently to dietary fats. Worse still, not only will some diets bruise our egos, they may actually even be harmful to us. For example on a low-fat diet, some obese individuals who have variants in certain genes (GLUT2, and TAS1R2) have dietary preferences for simple sugars in processed foods. A low-fat, high-carbohydrate diet in these individuals may encourage taste consumption of more sugars, which would cause dyslipidemia and insulin resistance. Here a moderate or even high-fat diet such as the ketogenic may actually work better (4). Like healthcare, the future of nutrition and dieting will be in tailoring plans specific to the individual. Just as the one-size-fits-all approach doesn’t work in exercise, it certainly won’t apply to something as personal as food consumption and weight management. The painful trial and error dieting can be an ancient relic of your old self when you take your genetics into account. Recent research has also highlighted the importance of quality with quantity of macronutrients in dieting. Maintaining healthy weight is not just about caloric limitations to balance the scale. Our genetics drive how much energy we are able to extract out of the different macronutrient types. (5). Furthermore, nutritional research also points to beneficial personalized targeting of gene-diet interactions to improve all aspects of metabolic health such as diabetic risks, cholesterol, and cardiovascular health (6-8) Successful and healthy dieting requires food choices that both work for you and can easily be maintained. 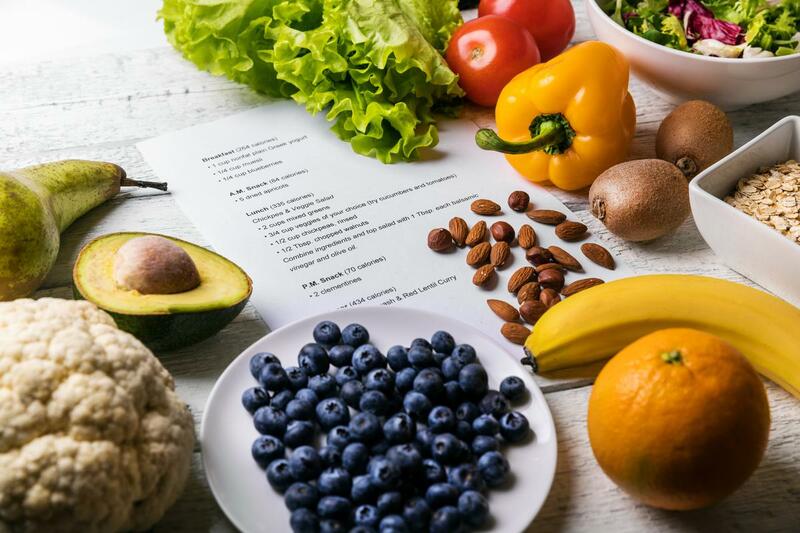 Diets can certainly be frustrating, but knowing your body and discovering your genetic profile can definitely help you navigate a path to a more healthy you.